The Casual Card purple edition is the FREE card for 16-18 year olds. It is the ideal card as a companion in adulthood. Do you have high standards and value lifestyle? Then the CASUAL CARD White Edition is exactly the right card for you. The card of superlatives! 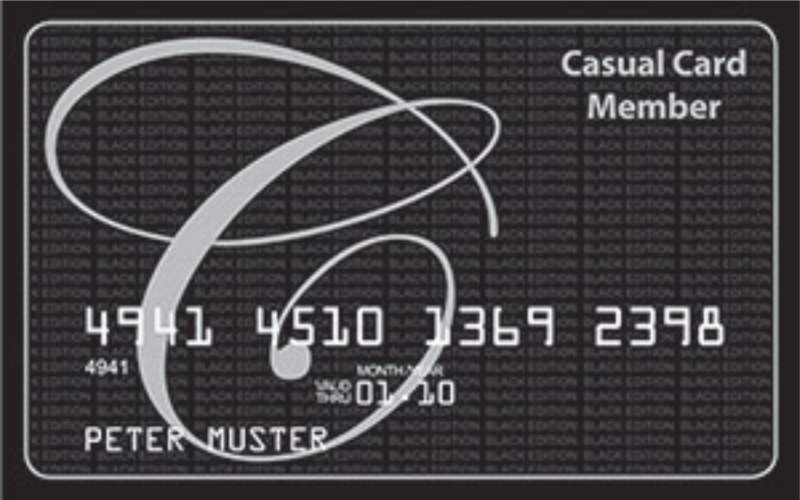 Immerse yourself in the glamorous world of VIPs and enjoy the fantastic benefits of the Black CASUAL CARD. 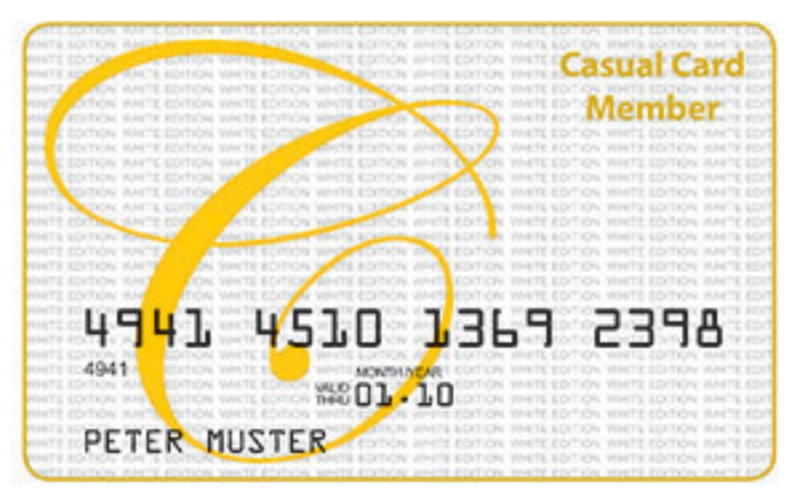 Everyday life is your star – with your personal CASUAL CARD. Whether traveling, nightlife, restaurants, shopping, beauty, sports and more – with the CASUAL CARD you put 100% on the right card. With this ultimate bonus card in your pocket you benefit from many benefits of pricing and gigantic accessories. Increased service, sensational discounts and exclusive upgrades push everyday life. 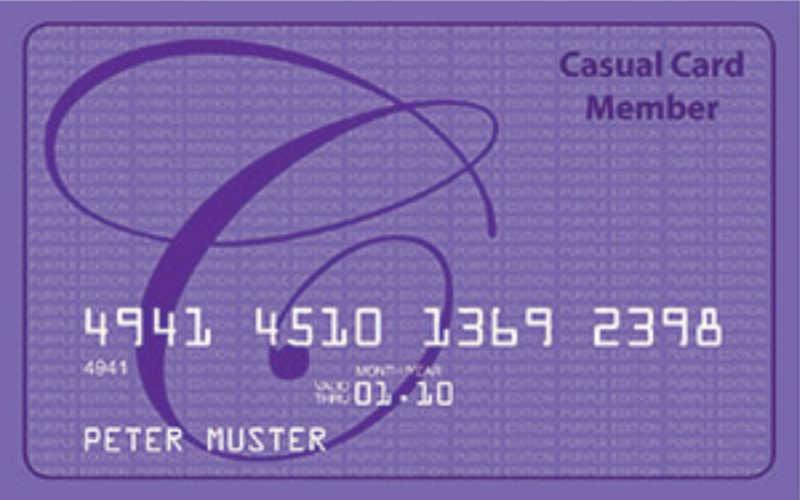 Enjoy your lifestyle with your unique CASUAL CARD!